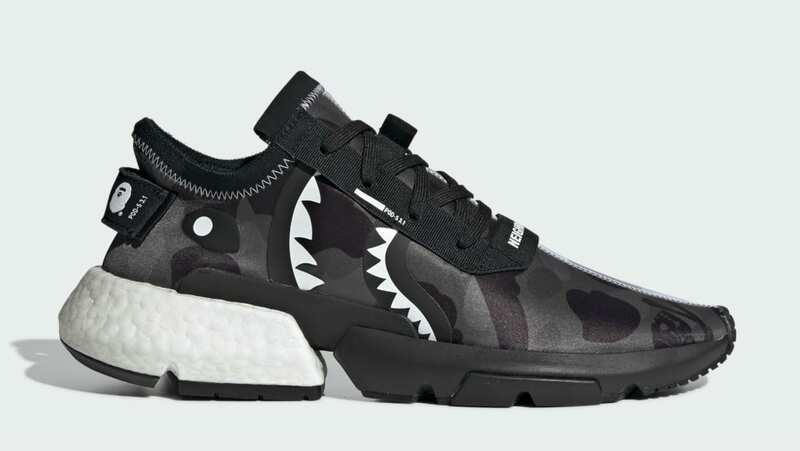 In collaboration with both Bape and Neighborhood, the Adidsa POD-S3.1 will feature a black Bape camo print on the neoprene upper along with a shark face on the lateral side, which sits atop a P.O.D. tooling. Release date is Apr. 19, 2019 at a retail price of $200.